The Furio utilises innovative technology to secure great performance at high speeds. Thanks to the aggressive centreline rib and diversified size of shoulder thread blocks, the Furio provides exceptional grip on both wet and dry roads. 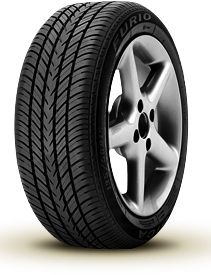 The reinforced design of the tyre is specifically adapted for high speeds.